Welcome to the “Hastings Memorial” website at thomas-hastings.org! 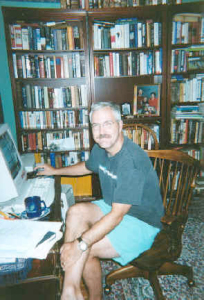 This website began as a collaborative effort between Scott Billigmeier, Louise Hastings, Ann Guenther, and the late Julie Hastings-Barnes (1942-2016). It contains the fruits of our research on the ancestors and descendants of the family’s progenitor Thomas Hastings (c1605-1685) who came from England to America (Watertown, Mass.) in 1634. Furthermore, we appreciate the financial support of cousins such as Donna Davies. If you would also like to help support the website and our other outreach efforts (either financially or with time and knowledge), please let us know via webmaster@thomas-hastings.org. The title for this site comes from the Hastings family genealogy by that name published in 1866 (it is available for purchase through the New England Historic Genealogical Society or free online from Google Books). Our ultimate goal is two-fold: Publish an update to the Hastings Memorial genealogy which will expand the lines presented, develop new and previously unidentified lines and carry as many lines forward to our time as possible. Secondly, but no less importantly, we are conducting the only known Y – DNA study of Thomas Hastings and his male line descendants. The main purpose of this study is to identify his origins in England and where the line derives prior to its arrival in the British Isles. Our vision for the website itself is that it should follow the general parameters of a peer review journal. What we mean by that is that everything posted is closely scrutinized and fairly represents the state of current research in terms of accuracy and completeness. No doubt that errors can and will be found but, together, we have over 50 years of genealogical research experience so a reasonable level of due diligence will be applied to all material on the site. At times, we will post information which is open to debate or speculative and, when we do so, we annotate it as such. The main reason for doing this is to put the information “on stage” in the hope that someone will come fourth with the missing piece of the puzzle. In all cases, we are striving to have the best, most accurate and most complete information so please do not hesitate to contribute or correct. at work (a few computers ago).